Big yield numbers this season can blind us from digging for the bigger picture. Because weather conditions vary year-to-year, so can varietal performance. With winter wheat planting around the corner, it is important to choose varieties based on multi-year data. Choosing varieties based on more than 1 year of data allows for a more accurate assessment of performance. By solely relying on the data results from 1 growing season, we neglect the fact that conditions are continuously changing – and what works best one year might not be best the following year. SY Monument – This variety has good winter hardiness and good head size. It has a great yield record, excellent milling and baking quality, tolerance to stripe rust and leaf rust, and excellent acid soil tolerance. SY Rugged – In years of testing and its first year in fields, this variety produced high yields across variable environments with very good test weights, as well as rust and drought tolerance. SY Wolf – This variety is the best choice for no-till or wheat-fallow-wheat because of its disease tolerance under heavy residue. AP503 CL2 – This 2-gene variety is the best choice for managing rye, wild oats, and jointed goatgrass while producing top yields. 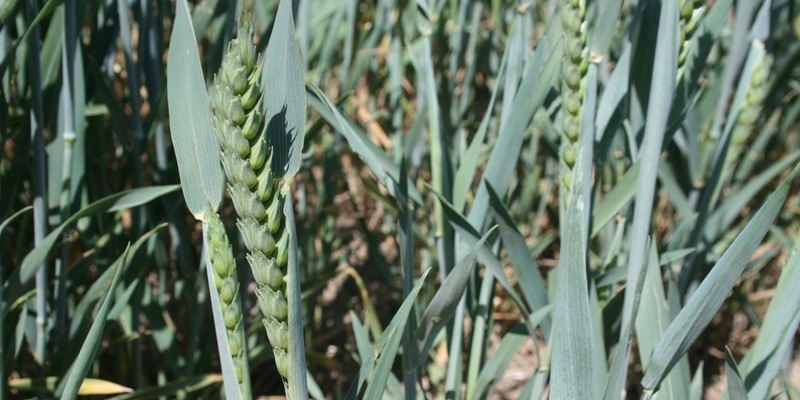 Spur – This variety is the best solid-stem choice for wheat stem sawfly problems. SY Sunrise – This variety is our highest-yielding irrigated wheat and has good drought tolerance. Our leading varieties stem from a 50+ year investment into the wheat industry and a broad testing program that has tested varieties in 159 locations and 90,467 yield plots. Our program features a broad, diverse pool of locally adapted genetics that gives growers more options for top-performers that fit their farm needs. Check out our other tips for a successful winter wheat planting season.